There is something so hip about European racing stripes, they look great, and immediately impart a sporty, sophisticated look to your Buddy. 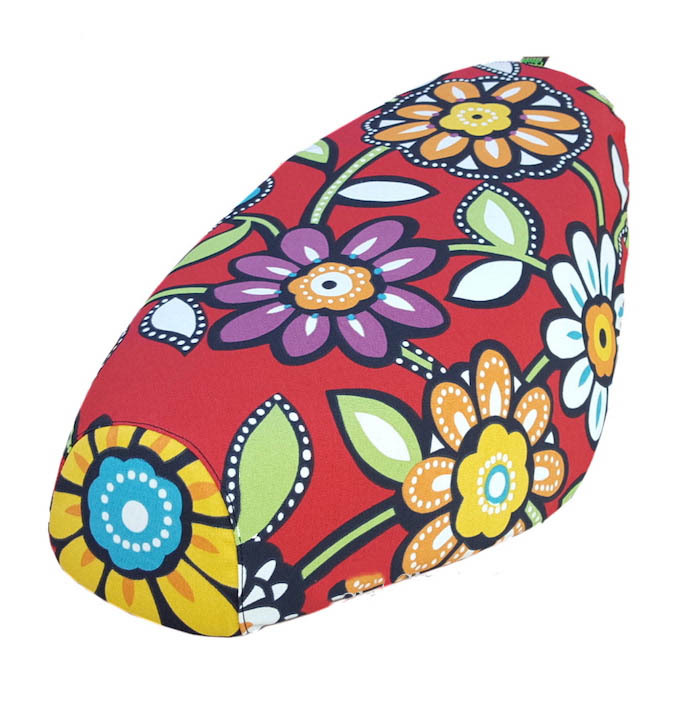 We were inspired to do this when we saw the Buddy 170, but we have since been pleased to see this looks great on any scooter, in any color. 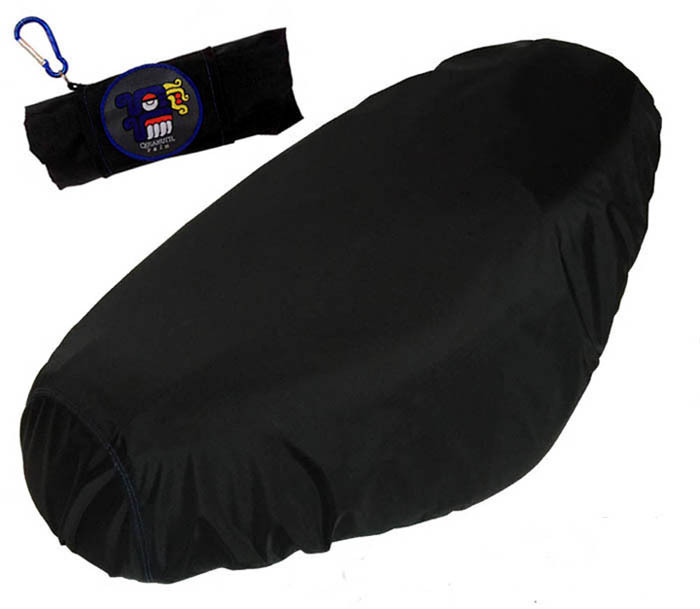 This seat cover is made from all marine vinyl, so not only is this waterproof, but it's UV rated to hold up in the sun and is an extremely durable material intended for years of serious use. 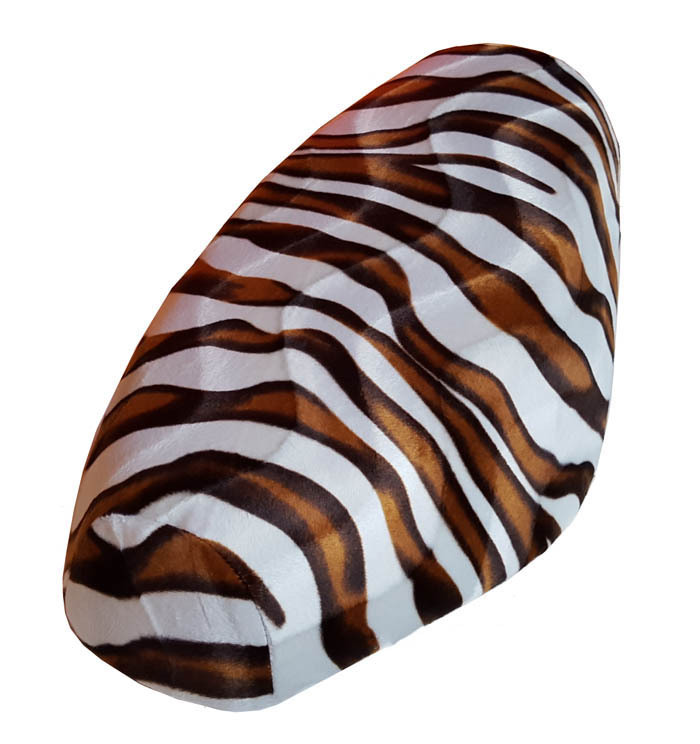 The stripes are sewn on, not printed, and you can request different color stripes if you like, just contact us for details/options. 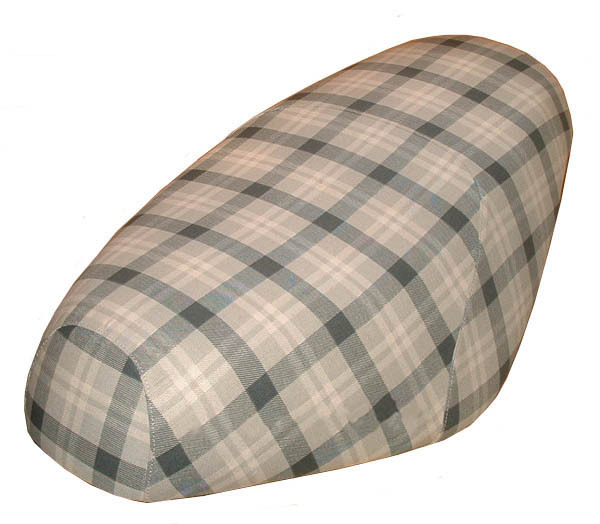 See below for an example of a low profile seat and different color stripes. No tools or staples needed. 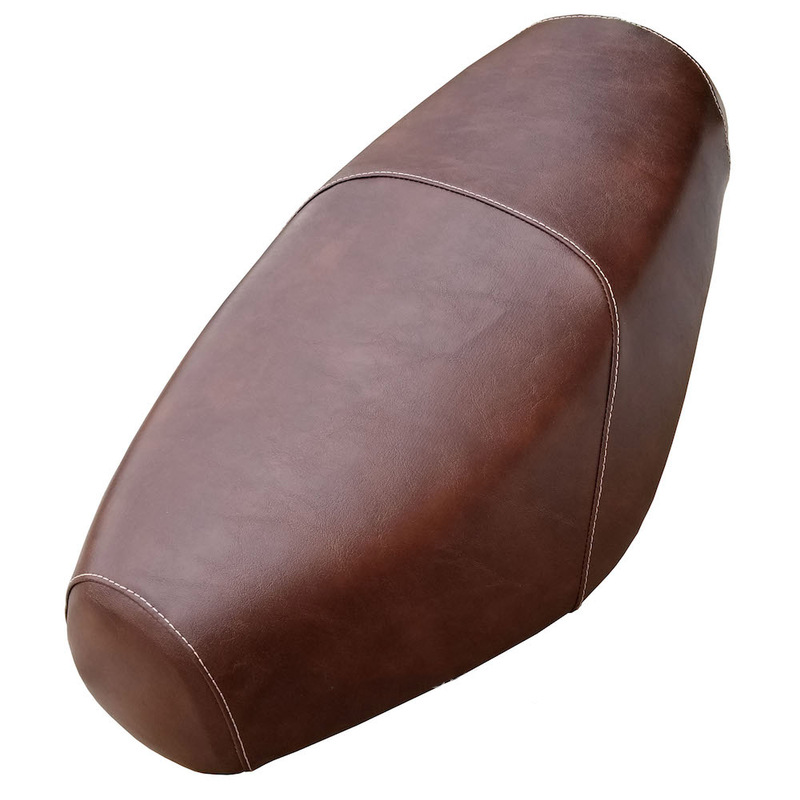 Our impeccably tailored covers fit like garments on your Genuine Scooter seat. This is just the kind of signature accessory your Buddy is calling for. 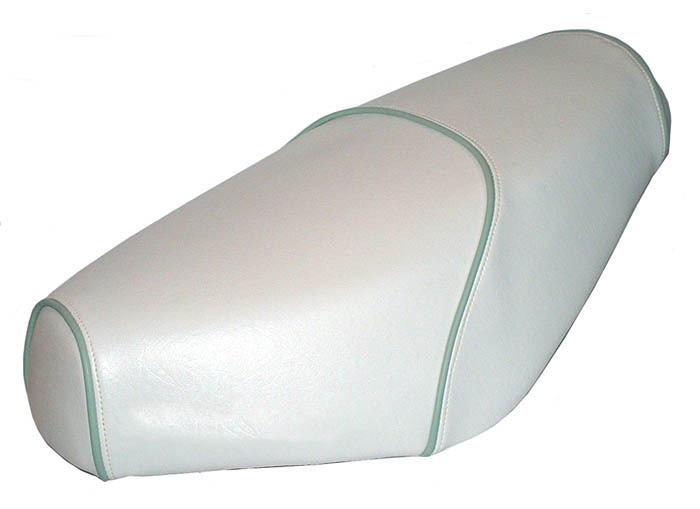 Cottage White Genuine Buddy seat cover, Choose Your Own Piping!